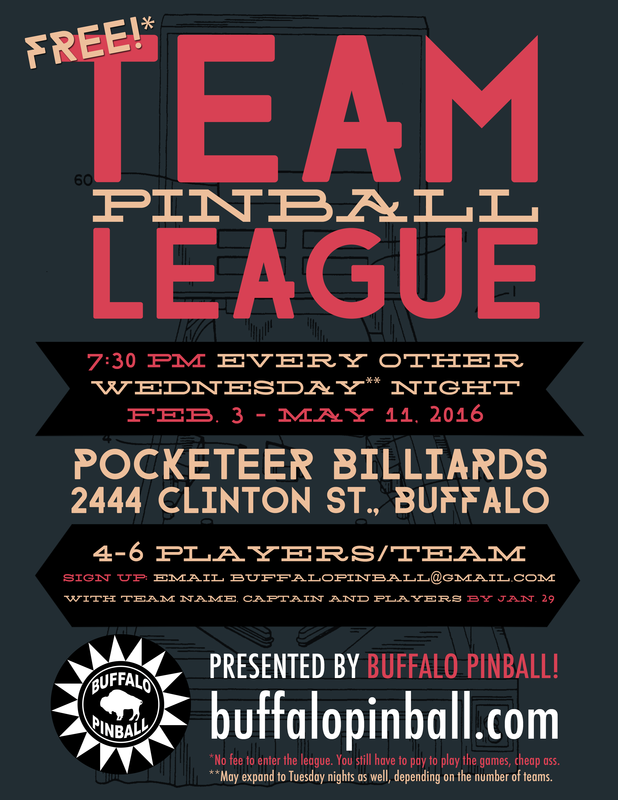 Sign up: Email buffalopinball@gmail.com with your team name, team captain and players by Feb. 29. 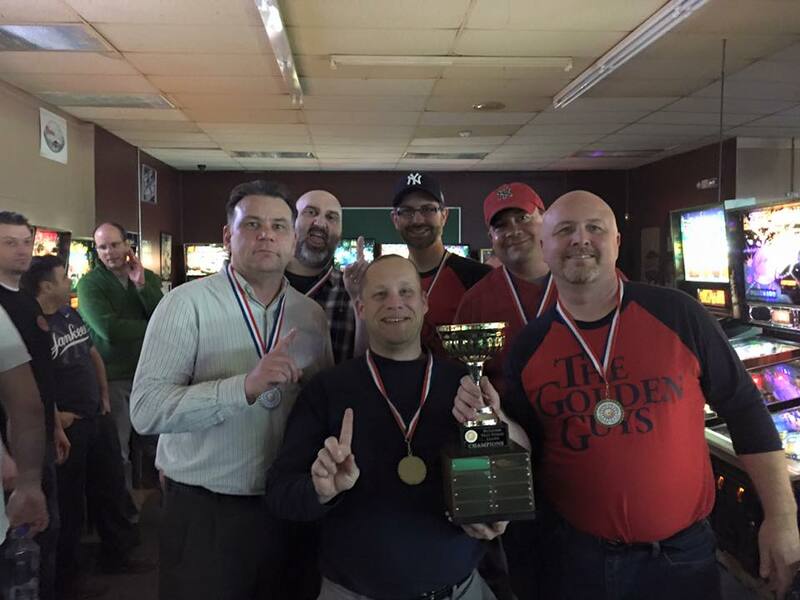 This entry was posted in Team League on January 13, 2016 by k3v2. 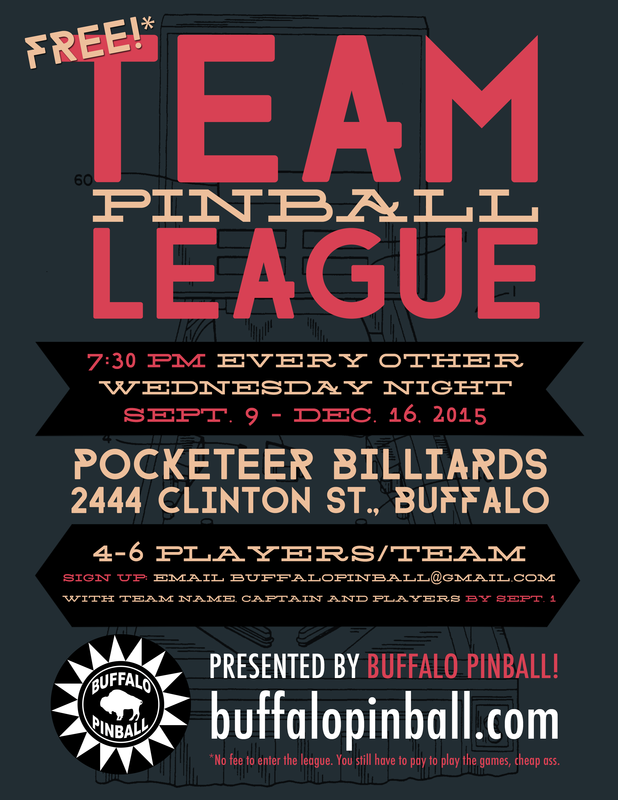 Ten teams totaling 51 players will make up the first ever Buffalo Pinball Team League, beginning Sept. 9! 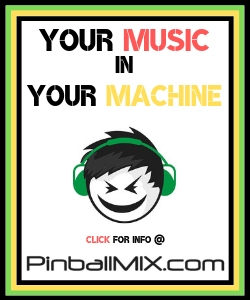 Check out the original post for all the details and rules. 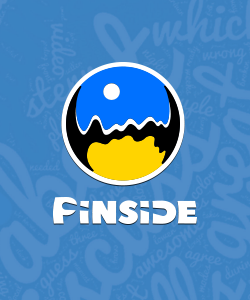 This entry was posted in Team League on September 4, 2015 by k3v2. 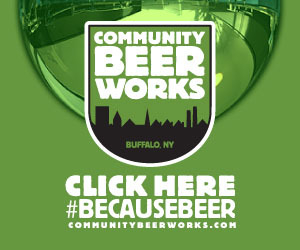 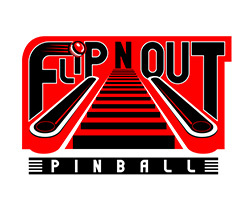 Sad because you missed out on registration for the Buffalo Pinball League? 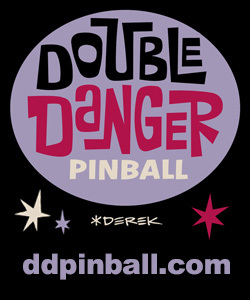 Feel like you need more pinball in your life? 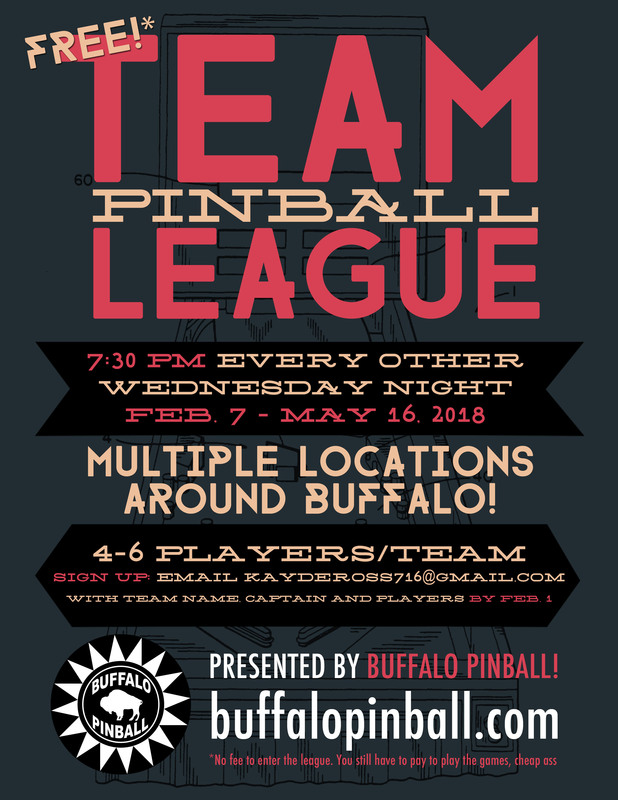 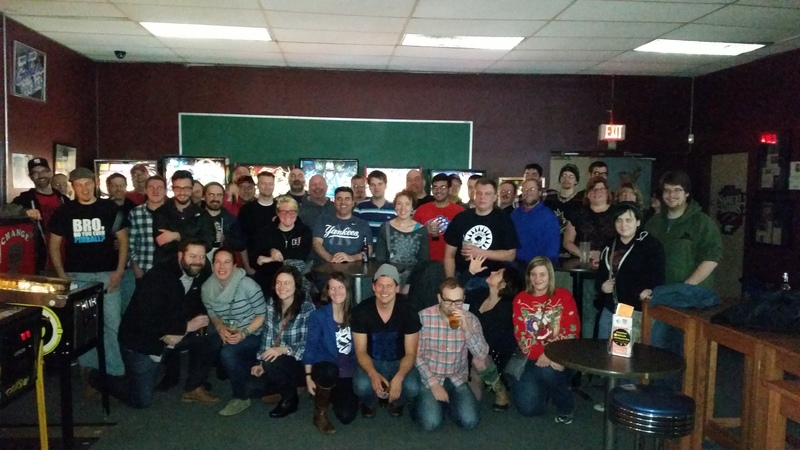 Well we’ve got just the thing: the all-new, Buffalo Pinball Team League! 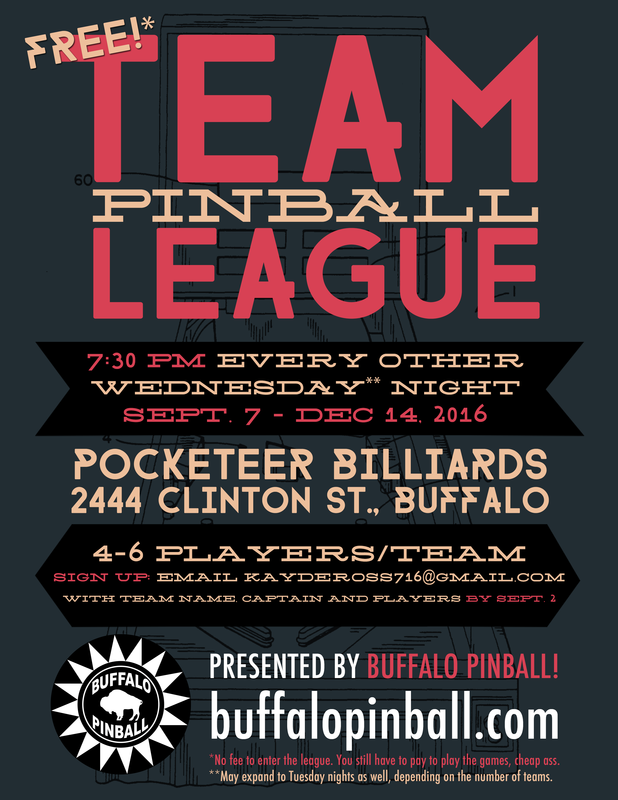 Sign up: Email buffalopinball@gmail.com with your team name, team captain and players by September 1. 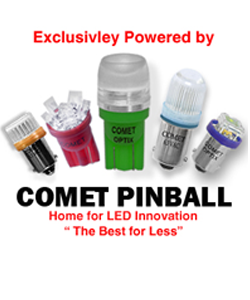 This entry was posted in Team League on August 11, 2015 by k3v2.